I was up early and got a few things done. When it was time for breakfast, I woke Ralph and we enjoyed a little time together. Ele and I had planned on going out for coffee. Our choice was a fairly obvious one…Barnes & Noble. I had a sugar-free, fat-free gingerbread latte. It was very tasty, but I thought I remembered the sugar-free syrup being unsweetened and I was planning to add some Splenda. Fortunately, I tasted it first because it was perfect as is. The snack in the background was Ele’s and though she repeatedly offered to share (Thank you, Ele!!) I resisted. That’s my plan…Focused and On Track! I had a 20% off one item coupon that was expiring on Sunday, but couldn’t find anything I felt I wanted to use it on. I’m SO Cheap…umm…Frugal anymore. Can’t bring myself to spend real money on books. I “shop looked” at Nooks again. They’ve just reduced the prices on some of the versions and I know I have enough gift cards so, I think now is the time. I just want to do it when it’s not crazy and crowded. I’ll need to get there when the store first opens one day. In fact, Ele and I discussed that this was probably the last chance we’ll have to actually find a seat in the cafe, with the Holidays upon us. We took advantage of it and enjoyed our time there. I spent most of the rest of the day relaxing and reading. Ralph was in the dumps when I got home because the Eagles were doing so poorly. It’s sad for all of the fans who are so loyal. That’s all I’ll say, at least with the Phillies, we win sometimes! 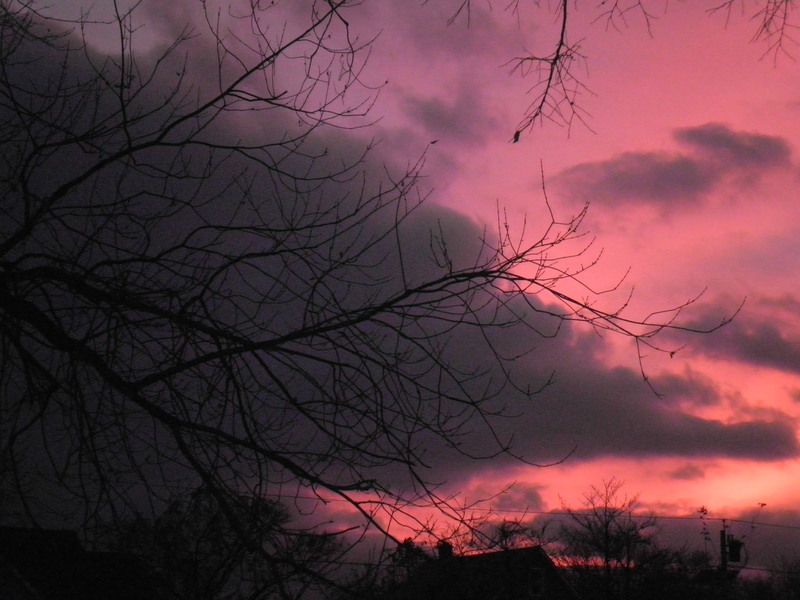 As I was sitting comfy on the bed reading, I caught a glimpse of color out of the side window to the West. Sunset!! On to a great Holiday Week!! This entry was posted in Uncategorized and tagged books, coffee, Holidays. Bookmark the permalink. happy holiday week, fran! wish we had one up here, too! love those photos – and i know!!! can you believe it is time to look towards 2013 goals??! wow! i LOVE that you and ele got out together and enjoyed a break and some browsing. hope you get your nook soon! yes, some days it is really nice to have an “unexciting” day that goes by quietly yet enjoyably! I give you permission to have a Holiday in Waterloo, Cathy!!! It was a good day, but you’re right…can’t believe I need to set some new goals! We’re going to Barnes & Noble later today because Emry has 2 gift certificates there. We rarely buy new books so this will be a real treat. I think she’s hoping to find some brain teaser type books. We’re going to try and fit in all her birthday shopping today because I do not like crowds, it seriously makes me anxious. Marie, I am completely with you…I hate crowds. That’s the reason I go to the mall so rarely. Enjoy your day!! Those are beautiful shots, Fran. Yes, now is the time of year when the stores really get crazy (especially on weekends), but your Nook strategy is sound ! Glad you like the photos, Zo! Yes, I’m hoping not to get trampled or elbowed out while I’m trying to ask my questions! 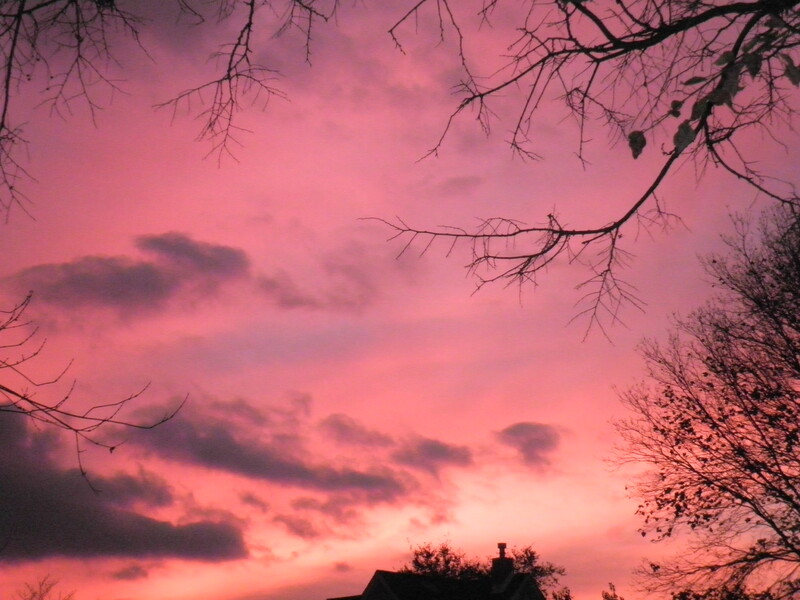 What a sunset! 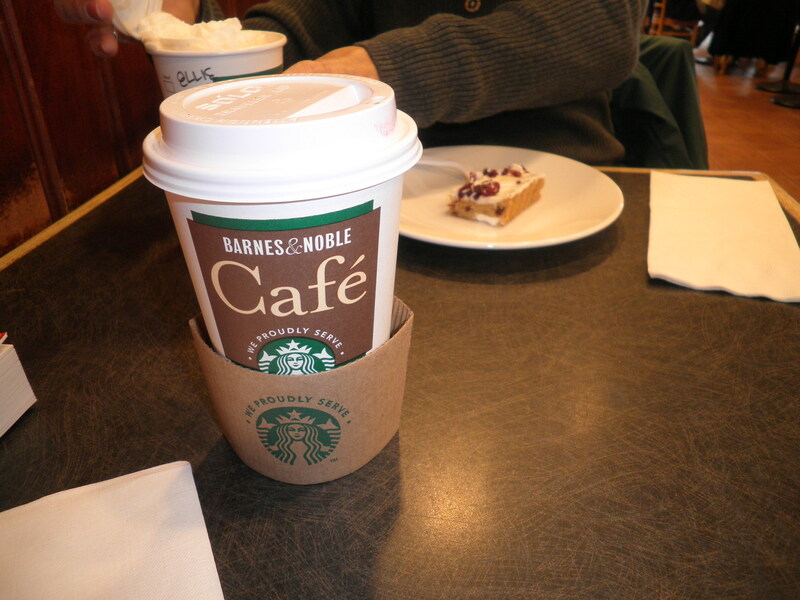 And oh my gosh, that B&N drink sounds so good–I love gingerbread lattes but can never find sugar-free options! And speaking of coffee–I know you’ll share my excitement, I just got a coupon for a free DD drink in the mail, and there JUST SO HAPPENS to be one on the way to my parents’ house…as if going home for Thanksgiving isn’t awesome enough already! Excellent!! Dunkin’ Donuts here she comes! I think of you everytime I go! Glad you got your coupon!